Is it possible to be a conscientious citizen of the world and grow wealth? Jonathan DeYoe, a Buddhist and financial planner, says yes and explains exactly how in his new book. 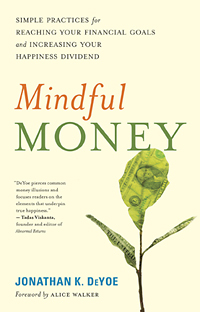 We hope you’ll enjoy this excerpt from Mindful Money: Simple Practices for Reaching Your Financial Goals and Increasing Your Happiness Dividend. This book offers practices and techniques that will teach you how to become truly wealthy by mindfully focusing your efforts on the only financial goal that really counts: happiness. Money is not happiness. Money is a tool we can use to enhance the conditions that support happiness. Since sustaining a happy and fulfilling life in the twenty-first century requires a lot more cash than many folks have on hand, money often buys us more anxiety than satisfaction. Of the many things we take for granted these days, one of the most powerful is LOVE. Yup, that four-letter word that many of us only understand a fraction of. It’s because of love that many of us are able to forgive. It’s because of love that many of us even listen to certain individuals. It’s because of love that some of us are willing to open up our hearts and be vulnerable again and again and again. But there comes a time when we easily take love for granted. This can happen when who or what we love is present every day and there is a developed expectation of what love does to make our lives better. When love is missing from our lives, it’s not as easy to get out of bed. Confusion and doubt arise when we feel like we are missing a loved one or when we feel that we are not being loved properly. For a day that’s supposed to be all about giving and receiving love, February 14th far too often leaves single people feeling alone and a lot of people in relationships feeling disappointed. 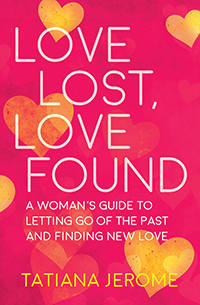 To save them from their misery, Christine Arylo, author of Madly in Love with ME, is inviting people from all over the globe to take back their “Love Power” by helping her celebrate the 10th annual International Day of Self-Love on Monday, February 13th. In celebration of Self-Love Day, New World Now podcast host Kim Corbin recently sat down with Christine to talk about how we can make a positive difference in a world that seems to get crazier and more divided by the day. 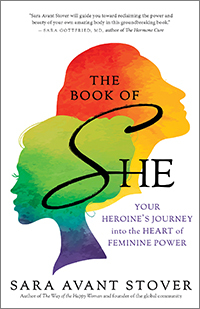 In this far-reaching interview, Christine shares how the paths of self-love and “the feminine wisdom way” can empower us to recognize the unique contributions we have to offer in our work, families, and communities, so we have a chance at shifting and shaping this world into the kind we desire to live in. 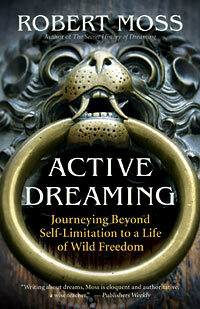 Active Dreaming is a way of being fully of this world while maintaining constant contact with another world, the world-behind-the-world, where the deeper logic and purpose of our lives are to be found. Active dreamers are choosers. They learn to recognize that whatever situation they are in, they always have choice. They choose not to buy into self-limiting beliefs or the limited models of reality suggested by others. Active dreamers learn to grow a dream of possibility, a dream strong enough to take them beyond fear and despair to a place of freedom and delight. Let’s be honest. 2016 was a hellish ride for many of us. I separated from my former fiancé and embarked on the daunting quest to build an entirely new life. We lost Leonard Cohen, David Bowie, George Michael, Florence Henderson, Carrie Fisher, and Debbie Reynolds. The U.S. had one of the most contentious presidential elections in our history — with reports of Russian hacking, no less! We’ve faced atrocities in Aleppo, Orlando, Oakland, and so many other places. Globally, we’re more divided than ever. In our individual lives, many of us hover in survival mode, struggling to stay afloat amid life’s incessant changes and challenges. I’ve heard from you, and I know that together we’re facing divorces, miscarriages, the debilitating fatigue of early motherhood, wacky hormonal shifts, aging parents, chronic illness, weight gain, low libido, and constantly feeling like we’re not enough.